As shipowners globally explore new means to cut emissions and stay competitive, Norway's Hurtigruten has a potential solutione: Dead fish and other organic waste as fuel for its 17-vessel fleet of green cruise ships. Courtesy of its Norwegian heritage, Hurtigruten is already one of the world’s largest expedition cruise line, heavily invested in green technology to better serve the pristine aquatic environments where it conducts its business. 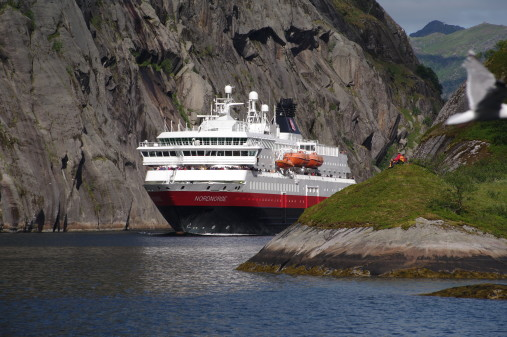 As the maritime world looks to the IMO mandate to cut greenhouse gas emissions by 50% by 2050, Hurtigruten is already enacting its green vision, powering cruise ships with liquified biogas (LBG) – fossil-free, renewable gas produced from dead fish and other organic waste. "By introducing biogas as fuel for cruise ships, Hurtigruten will be the first cruise company to power ships with fossil-free fuel," said Hurtigruten CEO Daniel Skjeldam. • The ban of single-use plastic. • The start of a large-scale green upgrade project, replacing traditional diesel propulsion with battery packs and gas engines on several Hurtigruten ships. In addition to liquified natural gas (LNG), these ships will also be the first cruise ships in the world to run on liquified biogas (LBG). Hurtigruten expects to invest more than $850 million in building the world’s greenest cruise line.